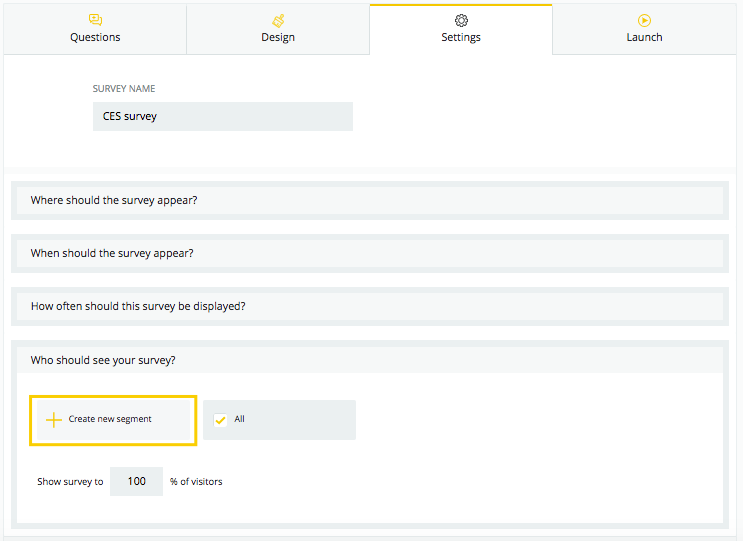 With Survicate, you can create surveys in any language and display them to people using the language of your choice. From a menu of targeting conditions pick How do they use your website? Where are they located? What language do they use? ❗️We use ISO 639-1 codes to define a language- for example: if you want to target Spanish users, you should use es code.